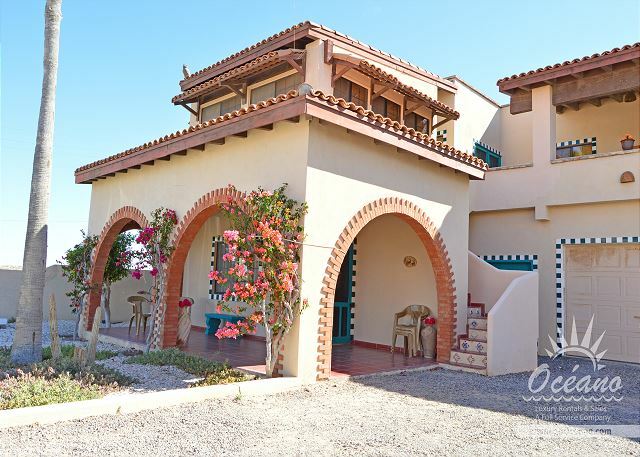 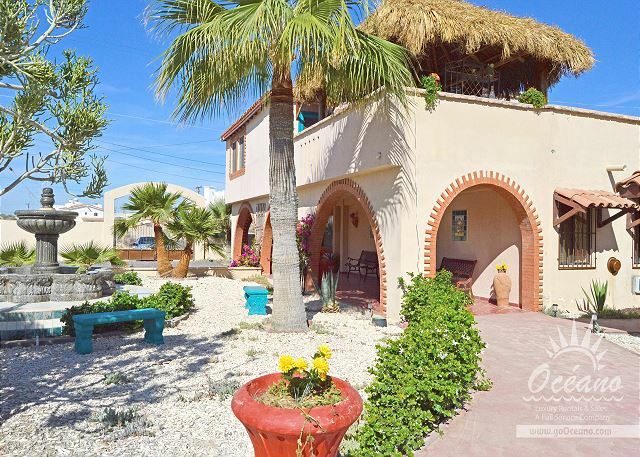 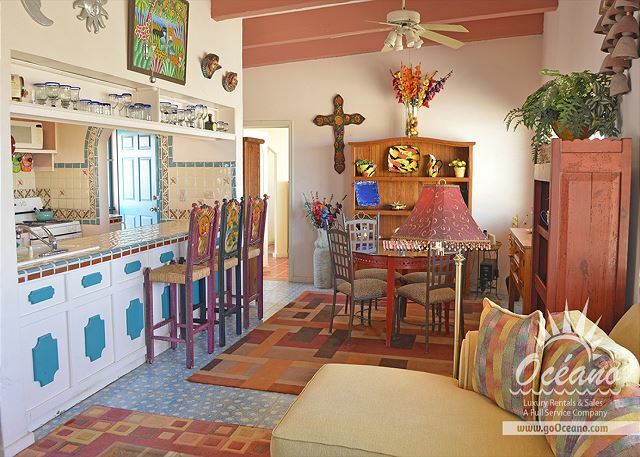 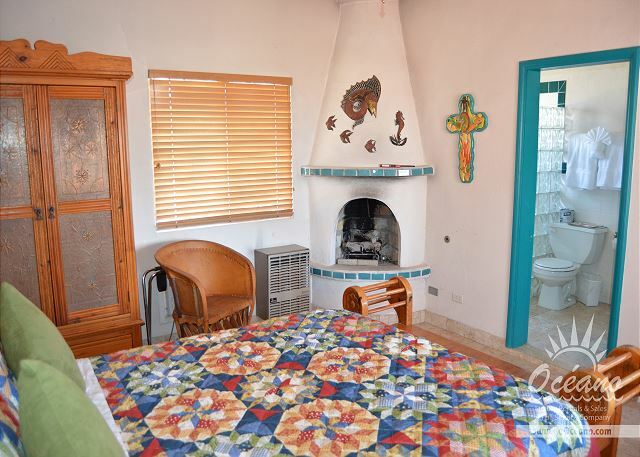 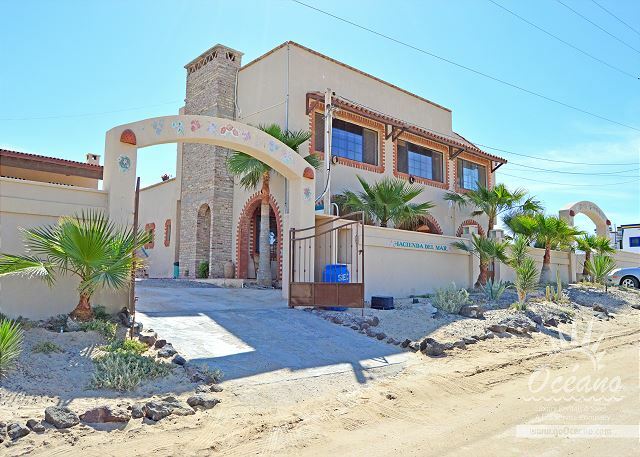 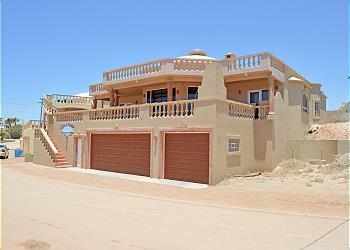 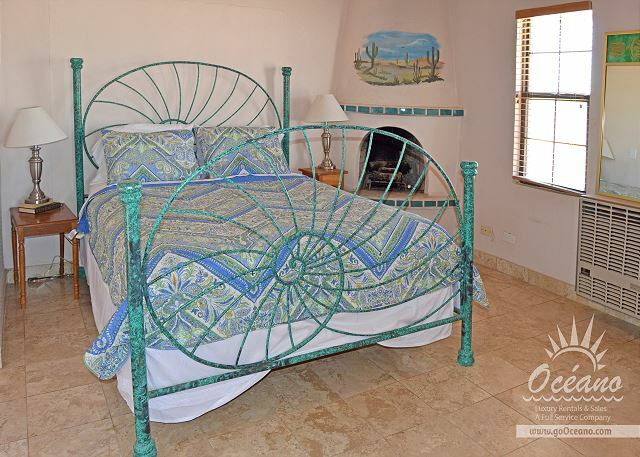 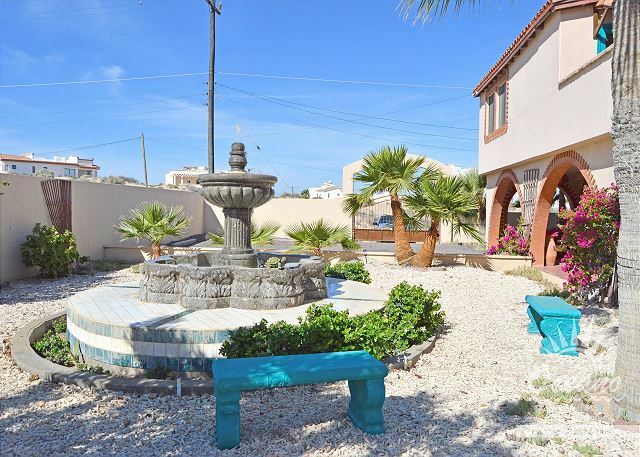 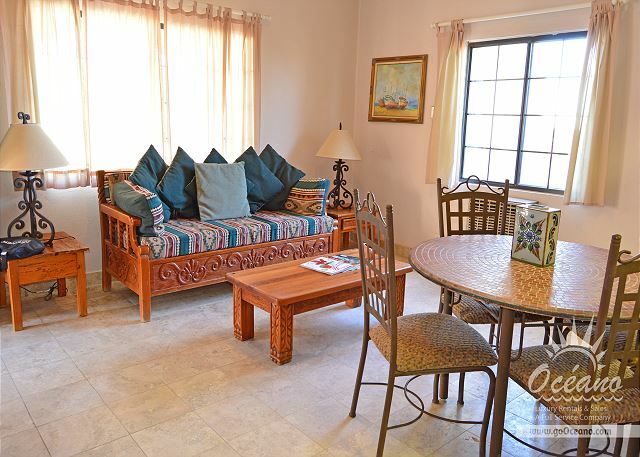 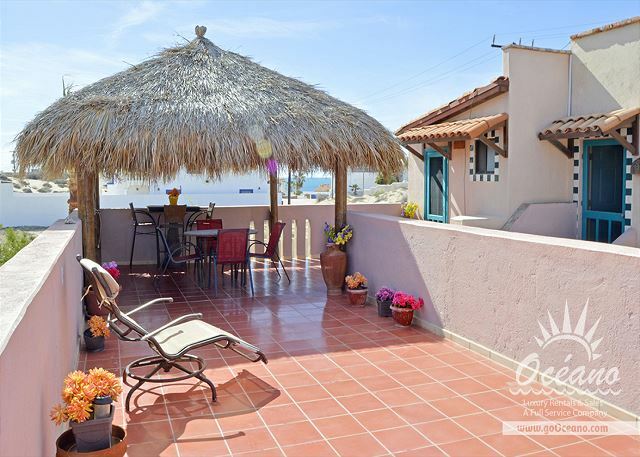 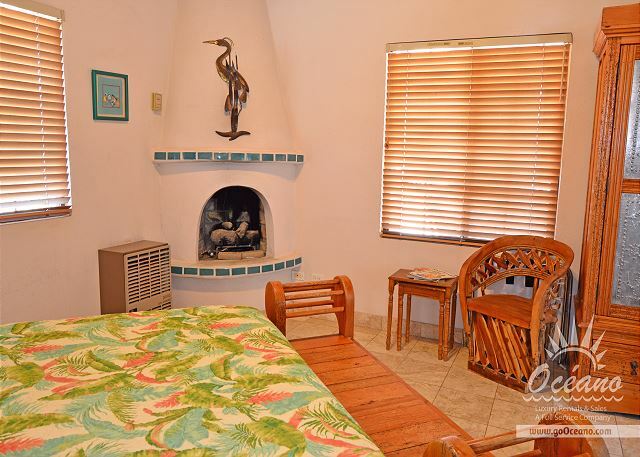 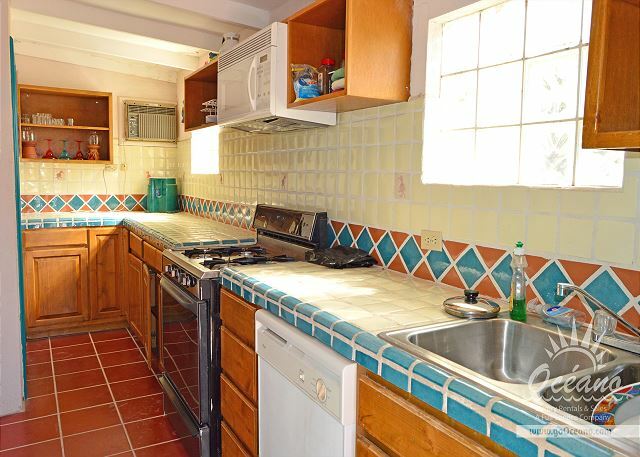 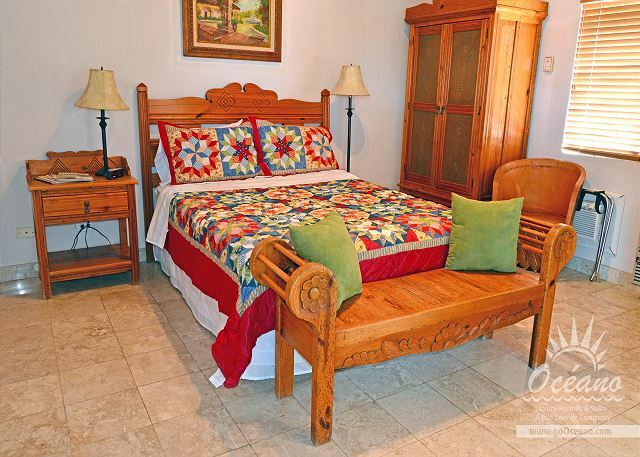 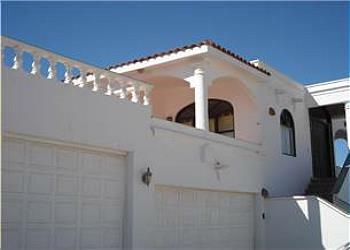 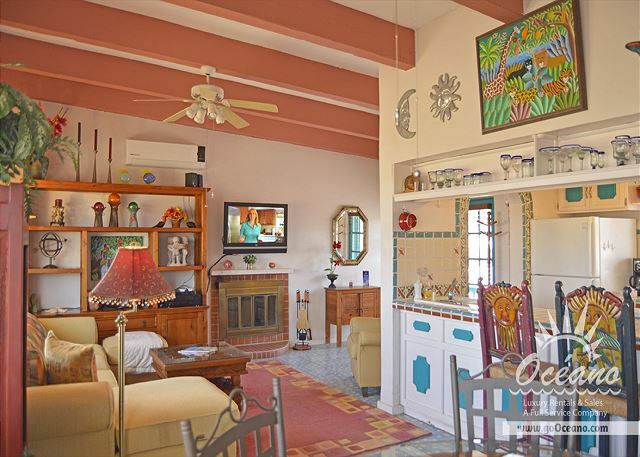 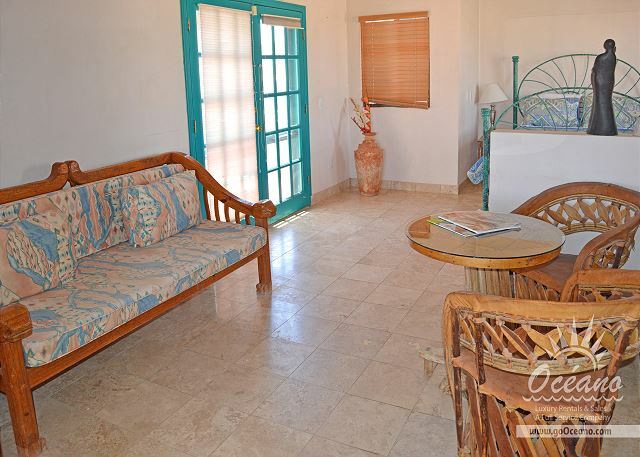 Hacienda del Mar is a seven-unit hacienda style home situated in the gated community of Las Conchas. 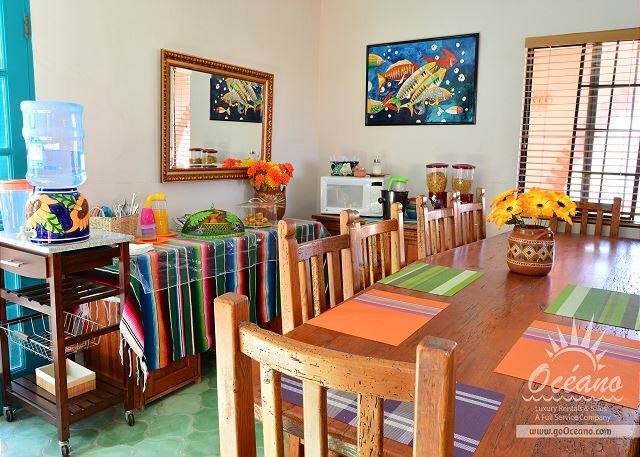 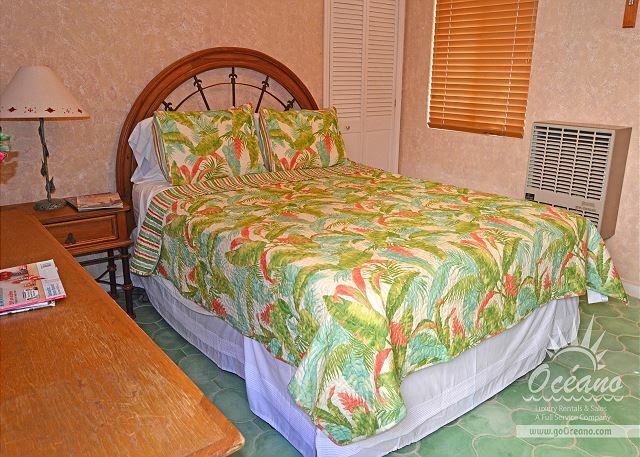 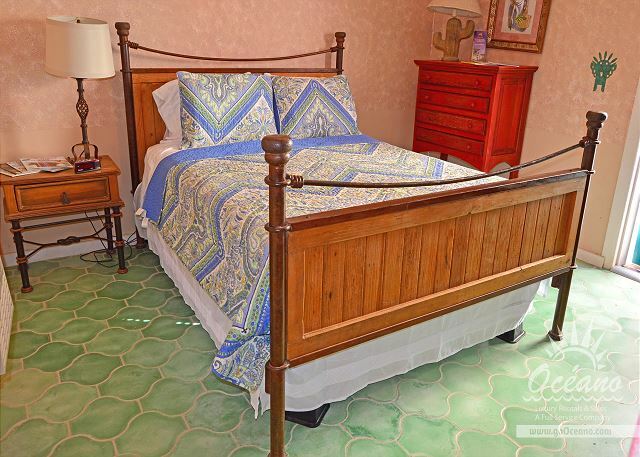 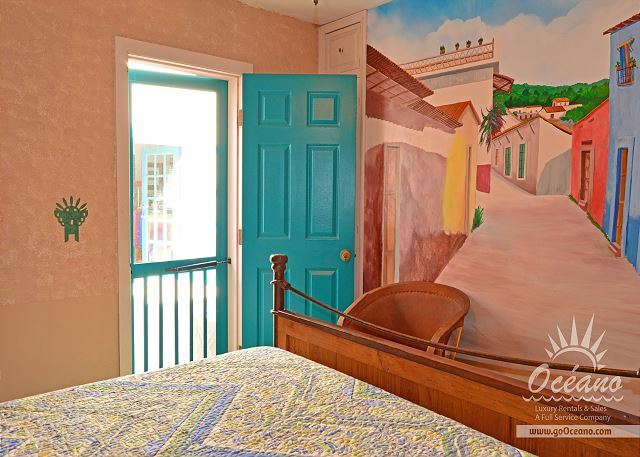 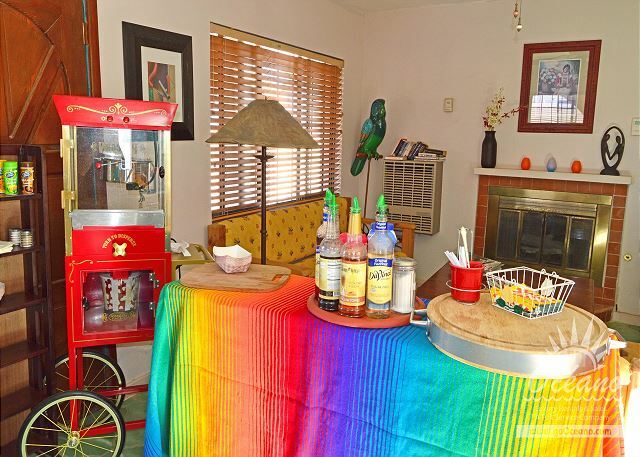 Rooms can be rented individually or in any combination to accommodate groups up to 15 people. 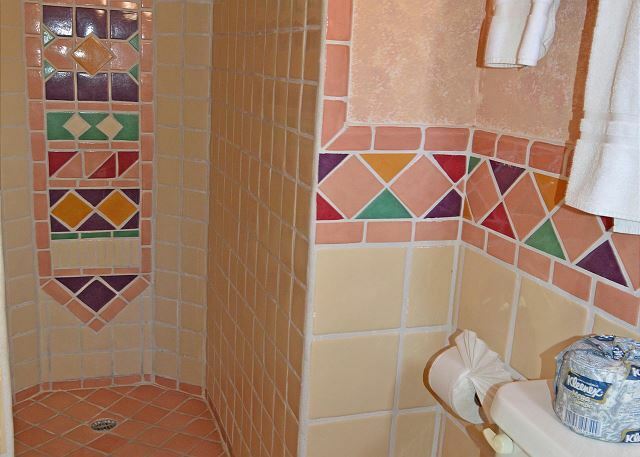 Each room, or unit, has been given a name, and each has a painted ceramic "name-tile" mounted by the door to keep everyone oriented. 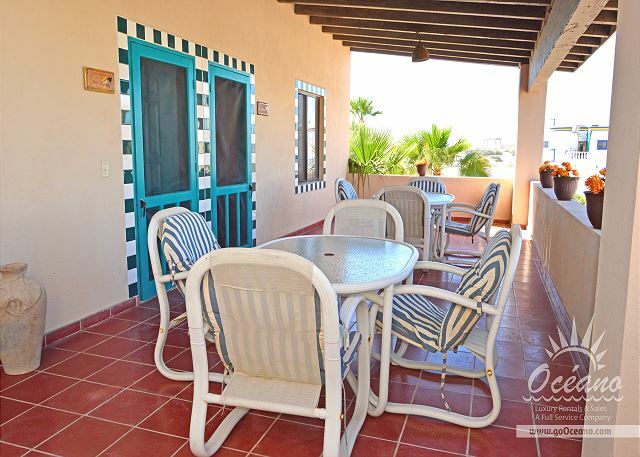 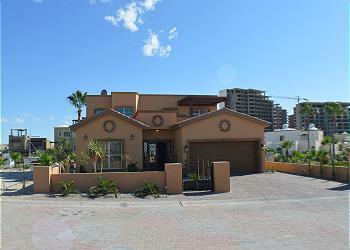 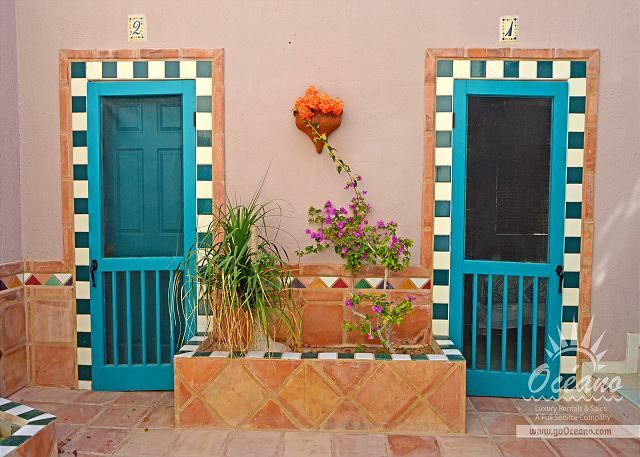 They are El Pelicano, La Paloma, La Chuparosa, La Sala, Courtyard 1, Courtyard 2 and Aguila. 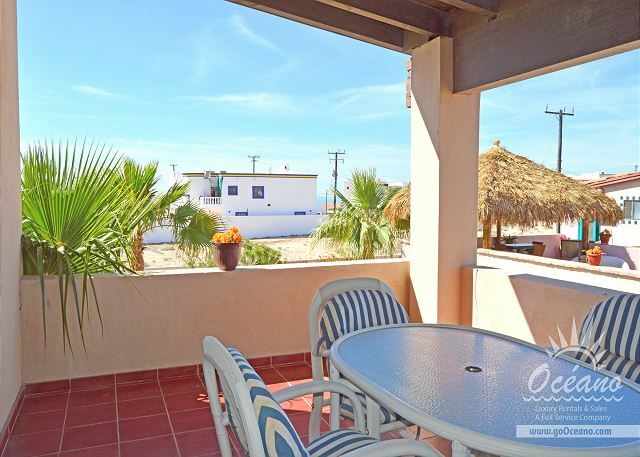 Hacienda del Mar offers a quiet and private respite with easy access to the pristine beaches of the Sea of Cortez, only minutes away from the restaurants, shopping and nightlife of Puerto Peñasco, Mexico's newest emerging vacation destination. 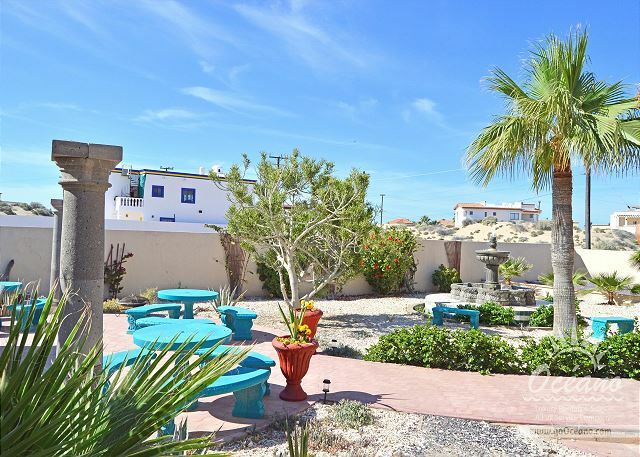 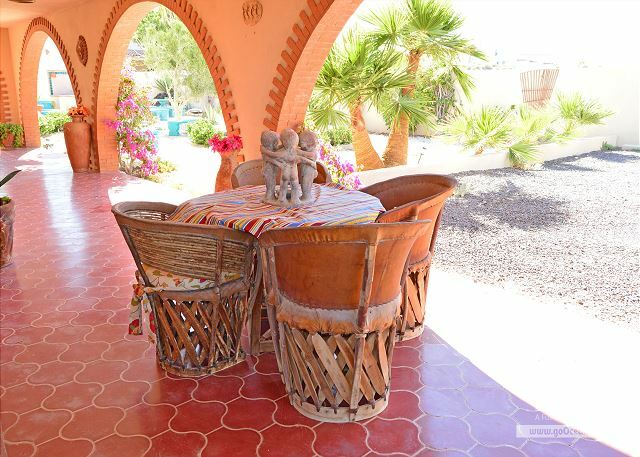 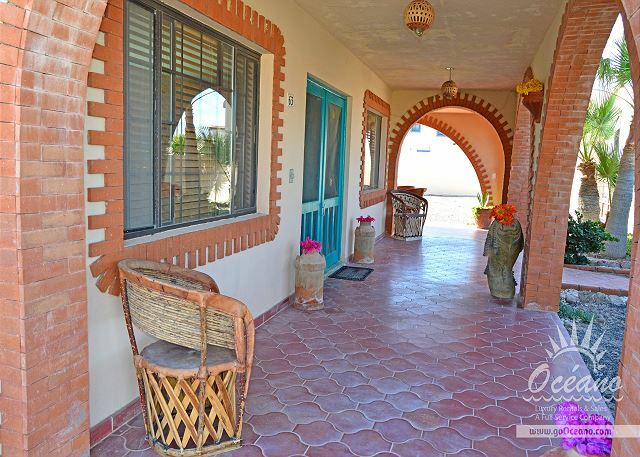 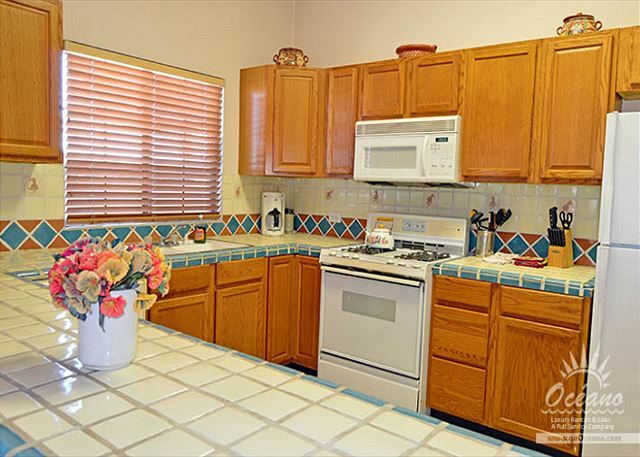 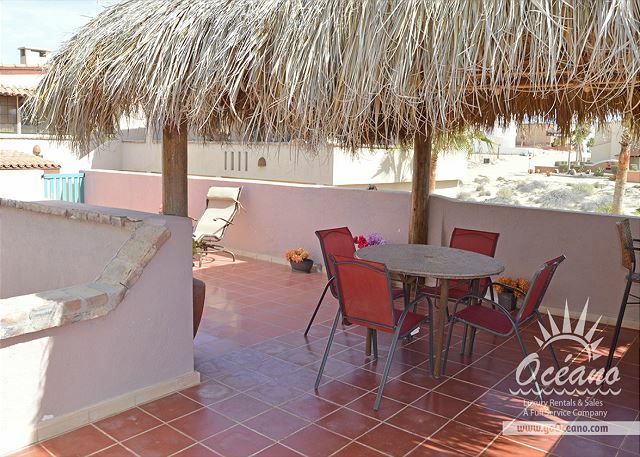 From the many porches are panoramic views of both the northern Sonoran desert and the sea. 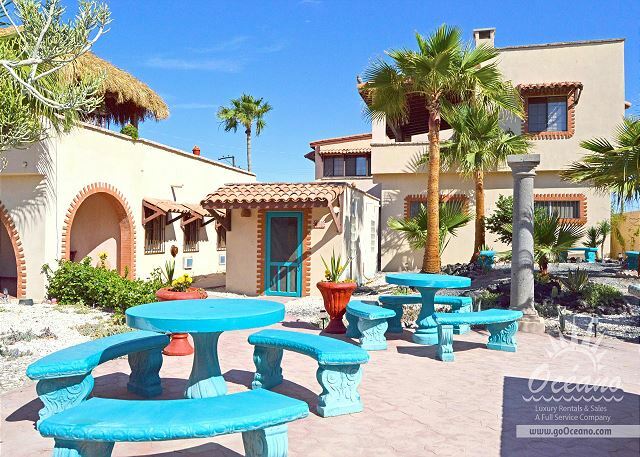 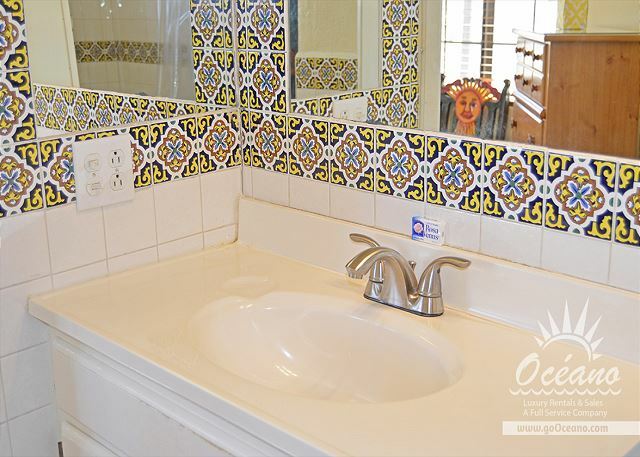 Decor is that of a traditional Mexican hacienda, with shaded porches and walkways, patio and barbecue, and hand-carved stone fountain in the beautifully landscaped yard and garden. 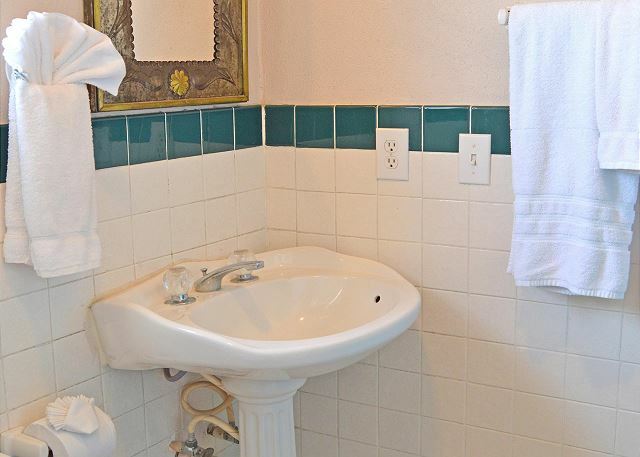 Guest rooms are non-smoking. 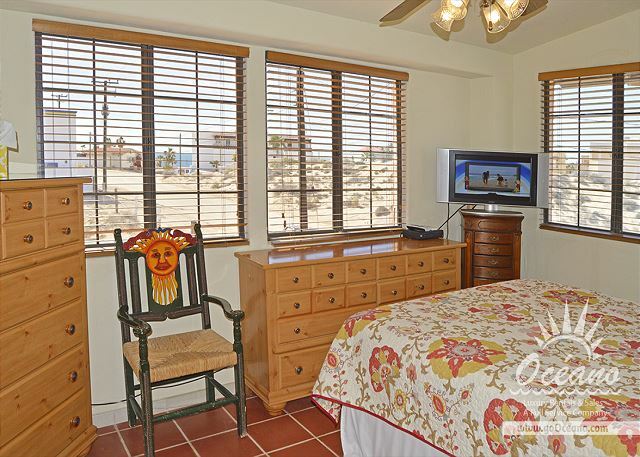 Each of the seven rooms features a private tiled bath, queen beds with pillow-top mattresses for that restful night of shut-eye as the ocean surf murmurs in the background. 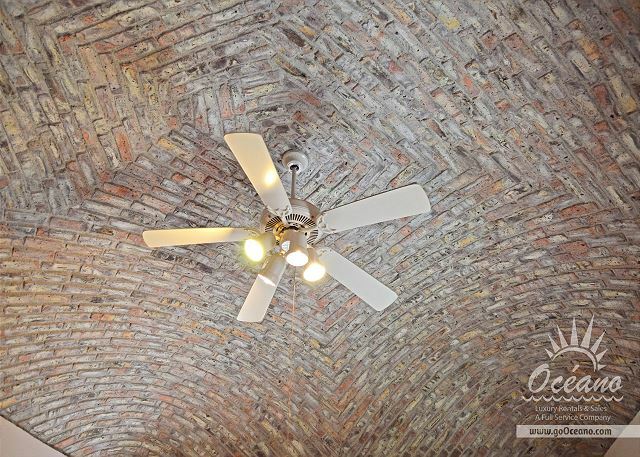 The ceilings in the upper level rooms including La Paloma, La Chuparosa and La Sala are boveda (brick domes), handcrafted by an artisan from Guadalajara; they are absolutely stunning! 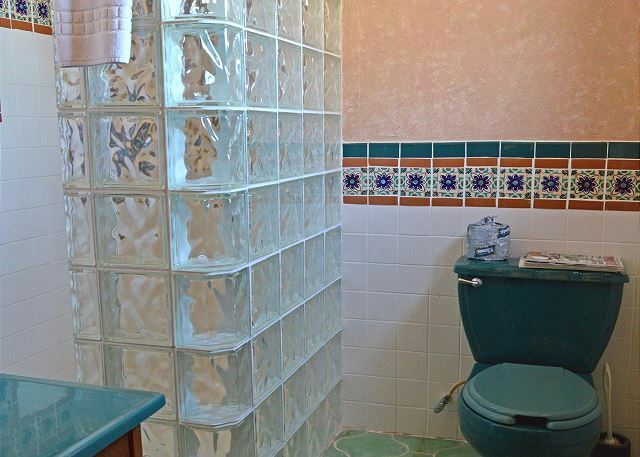 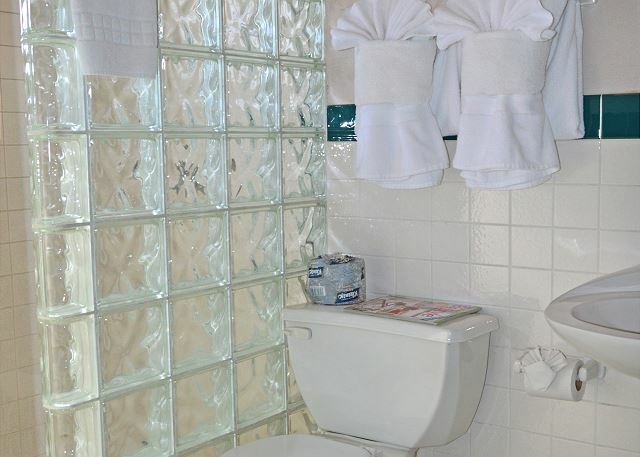 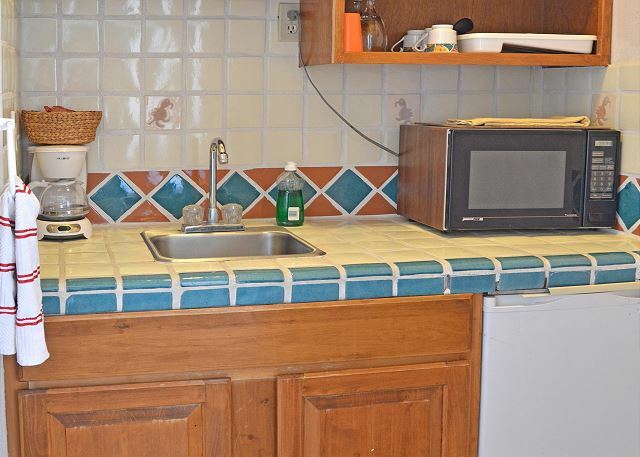 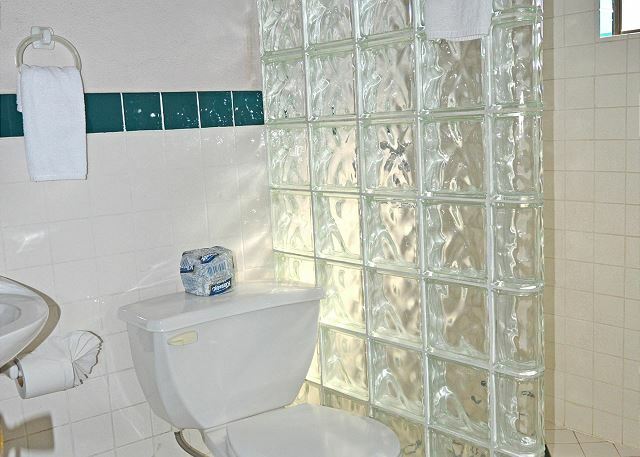 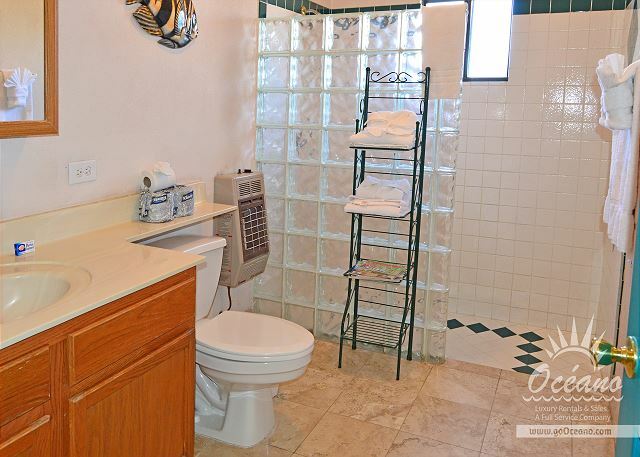 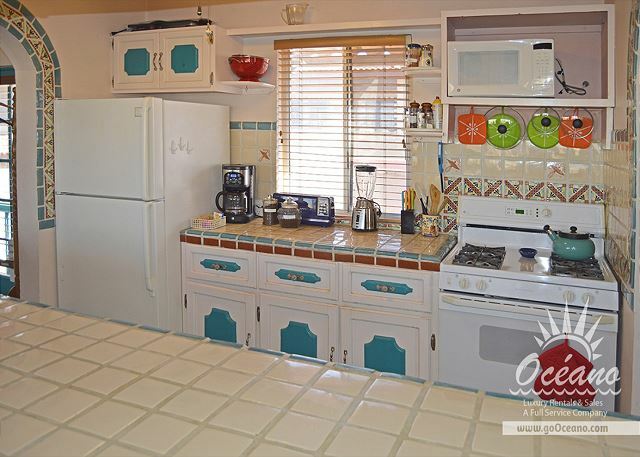 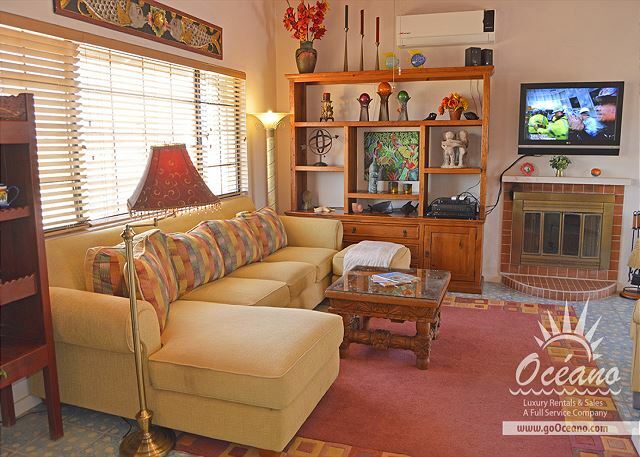 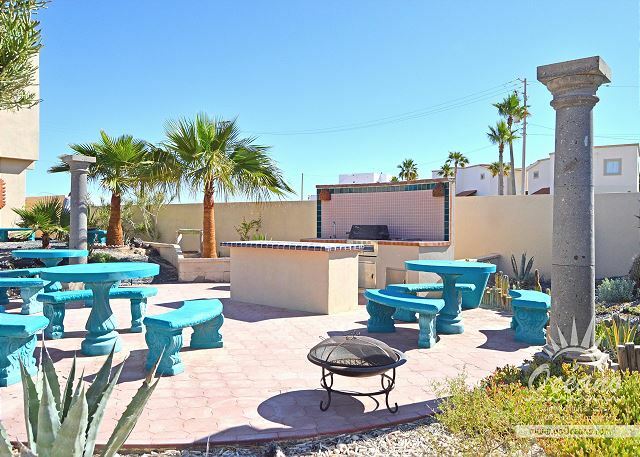 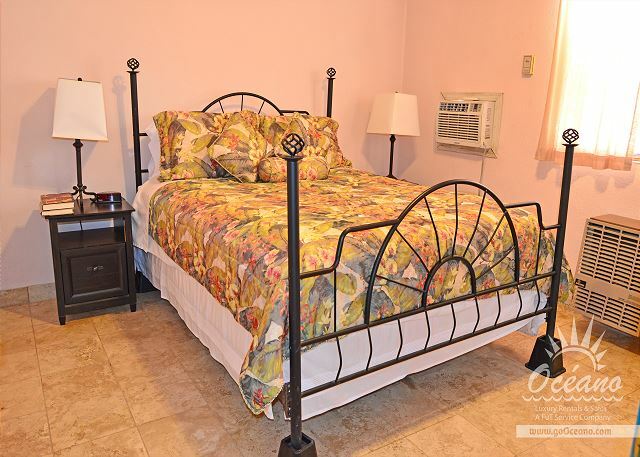 All accommodations have access to a common game room/sitting area with Satellite TV, DVD, a large patio with gas grill and full kitchen, outside shower for swimmers,and ample parking. 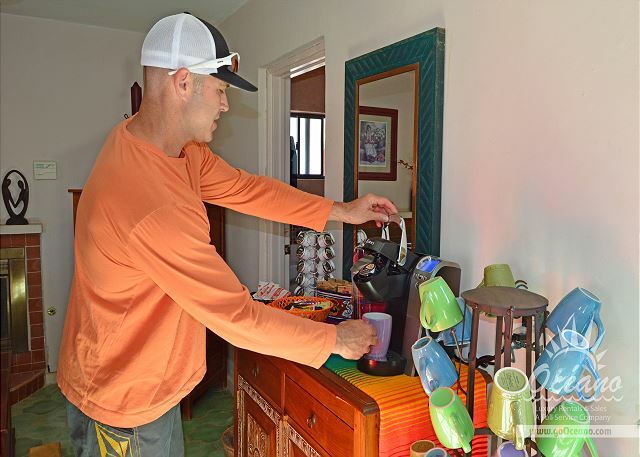 Innkeepers request No Smoking Inside and No Pets. 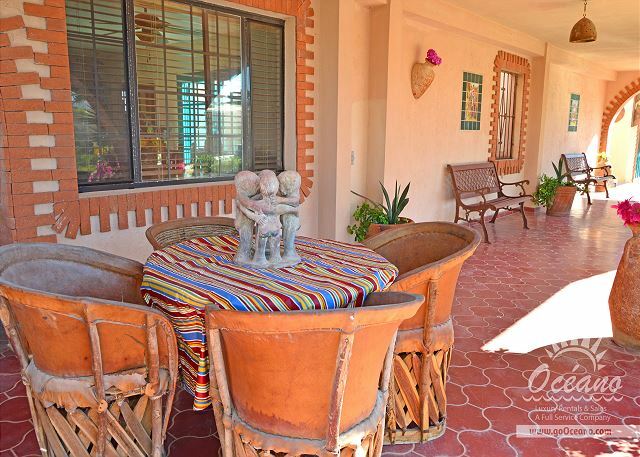 Children under the age of 2 stay free.